Attorney General Bob Ferguson filed a consumer protection lawsuit against Kirkland- and Portland-based Real Estate Investment Network, LLC (REIN), accusing the company of scamming foreclosed homeowners out of equity in the form of surplus funds from the sale. These surplus funds can amount to tens of thousands of dollars from each homeowner. In a lawsuit filed yesterday in King County Superior Court, Ferguson alleges that REIN violates the Consumer Protection Act by employing a high-pressure sales pitch that creates a false sense of urgency, misrepresents the content and purpose of documents and the process for recovering surplus funds. The lawsuit further alleges REIN deceives homeowners about the amount of surplus funds available (in at least one case lying to a consumer about the amount available) and the true cost of REIN’s services. The lawsuit also names Kerry Hemmingsen, Daniel Stack and William Gastineau, who all play key roles in REIN. Hemmingsen has also been the subject of two prior enforcement actions by the Attorney General’s Office, and as a result is already restrained by court order from “making any misrepresentations in the context of any sale, performance of any contract, or performance of a contract." REIN’s sales tactics include repeated calls and visits to the homeowner, talking to neighbors, and in at least one instance, approaching the nine-year-old child of a foreclosed homeowner as she got off the school bus. So far, the Attorney General’s Office has identified more than ten Washingtonians victimized by REIN’s practices. With the real estate market booming, more and more foreclosure sales bring in more money than is owed on the mortgage. These additional funds are called surplus funds. Any surplus funds are deposited with the county superior court. Homeowners can recover the surplus funds through a relatively simple process that most consumers can handle themselves or with minimal assistance from an attorney. REIN approaches foreclosed homeowners soon after the foreclosure sale, before they receive notice that surplus funds are available. REIN tells consumers that surplus funds may be available, but that action must be taken quickly or they may not be able to recover them at all. REIN’s sales pitch misrepresents the process for recovering surplus funds, telling consumers the process could take up to a year and will be near impossible without their help. REIN then offers to help the consumer recover the funds in exchange for a fee, but presents documentation giving REIN all the rights to the surplus funds. Although REIN returns a percentage of the recovered Surplus Funds to the consumer, REIN’s cut often exceeds 50 percent of the total recovery and sometimes as high as 67 percent. REIN often omits any information about the amount of surplus funds available, which can exceed $100,000. In one instance, the foreclosure sale led to $134,000 in surplus funds, and under the terms of its contract, REIN would recover around $90,000 for its services. In another case, REIN’s contract would allow it to recover about $88,000 of more than $141,000 in surplus funds. Ferguson asks the court to prohibit REIN from making misrepresentations to consumers and to impose reasonable costs and fees as well as civil penalties up to $2,000 per violation of the Consumer Protection Act. While the case is pending, Ferguson also asks the court to restrain REIN from retaining any surplus funds in excess of 5 percent of the total amount recovered, which is the maximum allowed by law. A hearing on the preliminary injunction is set for May 30. Consumers who have been contacted by REIN or any company about the recovery of surplus funds are encouraged to file a complaint with the Attorney General’s Office. If you signed an agreement related to surplus funds from the foreclosure of your home, Northwest Justice Project may be able to help. 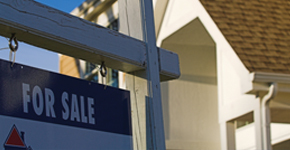 If you are struggling with your mortgage or facing foreclosure, find resources on how to avoid scams and find assistance you can trust on the Attorney General’s website. Assistant Attorneys General Heidi Anderson and Mina Shahin are handling the case.